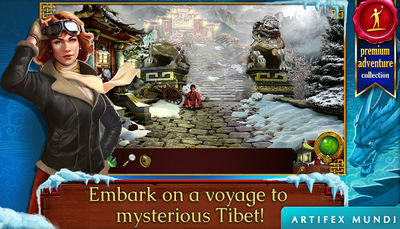 Adventure to Tibet in search of your lost niece in Artifex Mundi's Tibetan Quest Full version apk. The game is a hidden object point n' click thriller that sees you travelling to the most mysterious places in tibet solving dangerous puzzles to save your beloved Larisa. 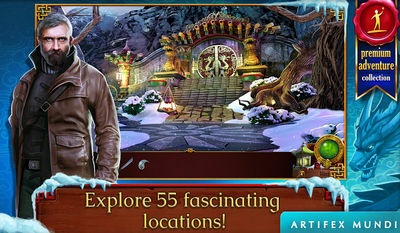 - Captivating hidden object game that blends together the elements of the thriller and adventure genres with oriental esotericism and lore. - Face the dangers lurking in Shangri-La to save your family beyond the world's end? - Explore 55 picturesque locations to find Larisa! - Complete 48 puzzles and unique Hidden Object Scenes! - Become a master by unlocking 18 achievements! - Put the troubled souls to rest in the extra adventure! - High-end, immersive gameplay, optimized for tablets and phones! Install v1.0 Apk, Extract Data and copy ‘com.artifexmundi.tq1.gp.full’ Folder to sdcard/Android/obb, Then launch the Game. More details about the game on Google Play.